I'm still here! It feels like I have had an unintentional blogging break. Easter holidays will do that to you! I haven't been sat idle, the very opposite in fact. I have been sewing some vitally needed items of clothing such as school uniform, that has gone straight into daily use, and some regular sweatshirt and joggers for my little girl who is growing like a weed. After making up some tried and tested patterns, I felt like I needed a new challenge. Since it is currently shorts weather here I looked to my unused PDF's and this pattern caught my eye. 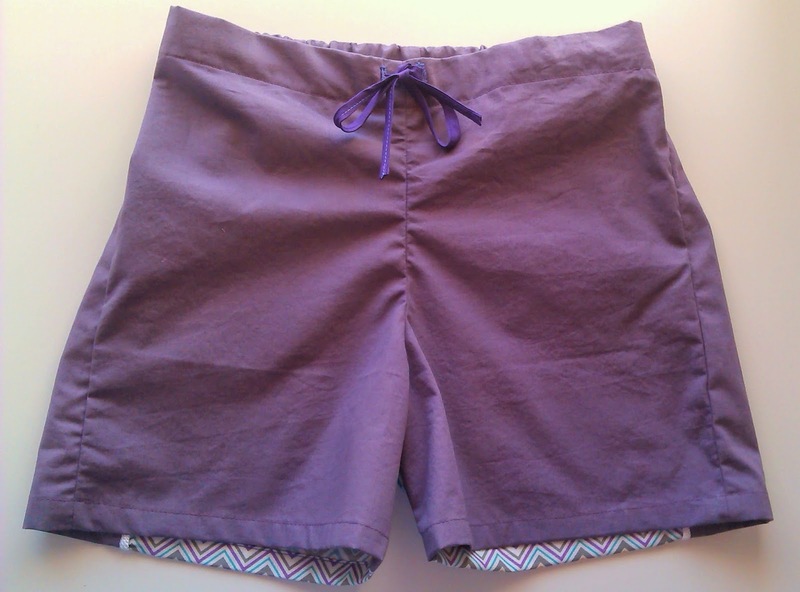 It is the Long Beach Board Shorts pattern by Terra's Treasures. I can't remember where I first saw it but I thought the style and the contrast panel would suit my girls and also make great holiday shorts. If we ever get to the beach. 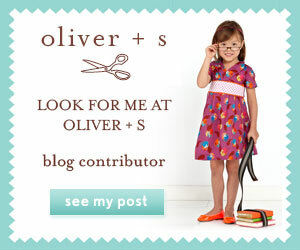 A little about the pattern; it comes in sizes 3-6m all the way up to size 14. My girl was hitting the measurements at the size 10 (for reference she is nearly 7 years old). It comes with two leg length options. This is the shorter of the two and is probably the version that most girls would want to wear. The longer shorts would look great on the boys. The fabric recommendations are cotton blends, linen, denim, and poplin. I can't help but think they would be great in a water resistant fabric too. Ripstop, nylon something like that. I love it when you find just the right co-ordinating fabrics in your stash. I had a skinny fat quarter of the chevrons which are a quilting cotton, and a meter of the purple poplin. I still have a lot of the solid left over. The back panel is edged with piping which always makes everything look better and in this case sportier. For the front, you can go with or without the drawstring option. It does recommend using grommets but seeing as the only ones I had were from making a bag, they were too big. I made buttonholes to the front instead. They are the perfect length on her and the fit is good. She has a curvy derriere and is still sporting a little baby belly so I sometimes have to add a little room to the rise of pants/shorts. These look ok without having to do that and she declared them to be really comfortable so I am happy. The different panels on these make for easy customisation. The ability to mix and match different fabrics are endless so you can make lots of different versions. In terms of KCW I spent about 2 hours on these this morning, I already had everything cut out and ready to go. On my sewing table at the moment are lots of pre-cut patterns for me to get sewing with. 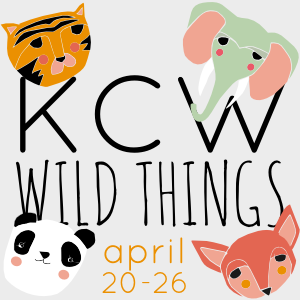 In the spirit of the KCW theme which is Wild Things, I have a kitty cat-esque Sunki tunic to make up which I might start on tomorrow. As a double bonus I have just discovered they go with her Scouts uniform top. Whoop whoop! Very cute. I have been looking for a board short pattern for my 2-year-old - this might be just the thing! Thanks Masha. 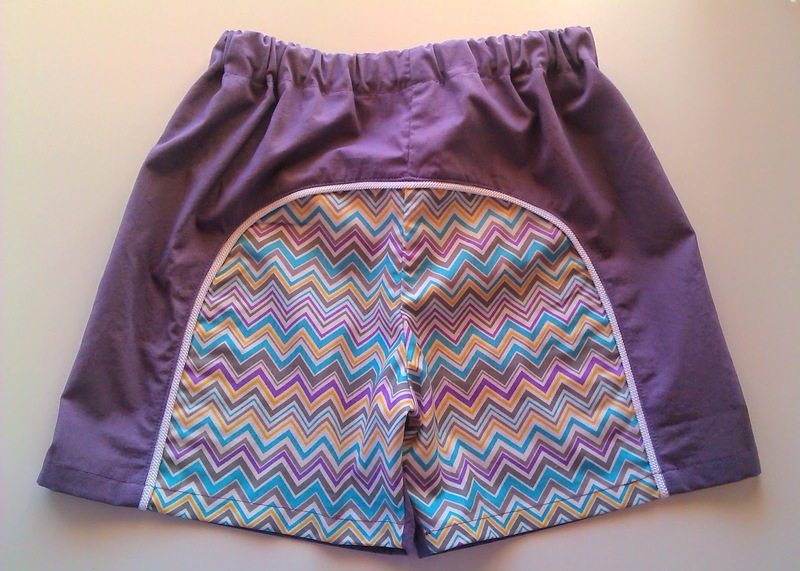 They would make great shorts for your little man! These are so cute! I love that panel in the back.